oomph. : happy national drink wine day. for all you wine lovahs, today is national drink wine day. for those who didn't know (it's ok, i didn't know either...shame on me! ), it is always celebrated on February 18th. i couldn't find any true historical meaning behind this day other than to simply rejoice and enjoy your favorite wines. so...go ahead, grab your glass. [virtual] cheers! 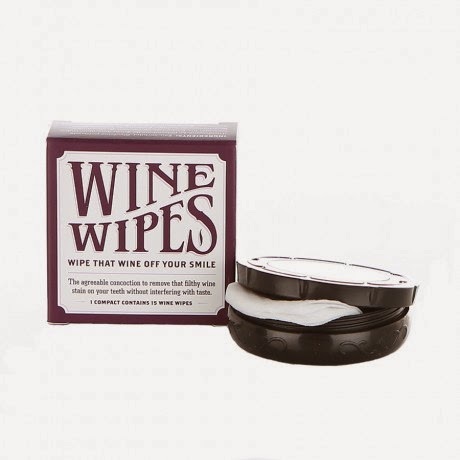 in spirit of the day, scroll down for some wine facts, fun gadgets, favorite sayings, and must-haves. do you like red or white? i drink red wine, mostly. while i prefer a good cabernet, i do not discriminate. 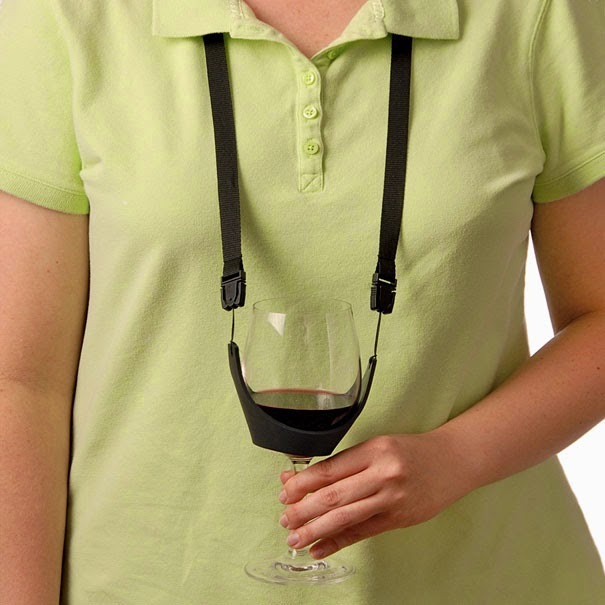 aerator for when you don't have time to let wine breathe. a great bottle opener - rabbit is by far the easiest. stemless wine glasses = less accidents. I hope you are enjoying national drink wine day. You look incredible. 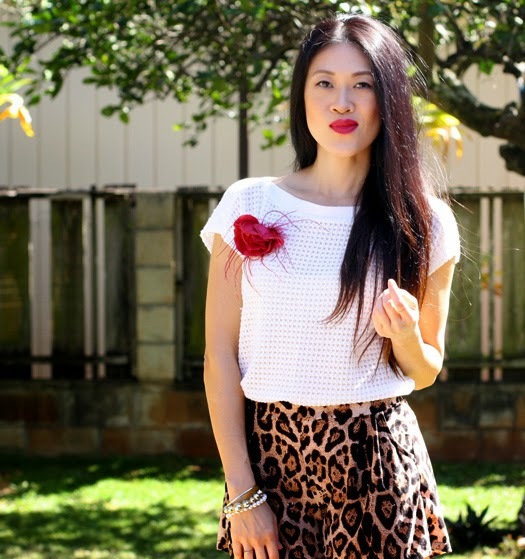 I love your leopard print shorts. You are gorgeous! I love this look. 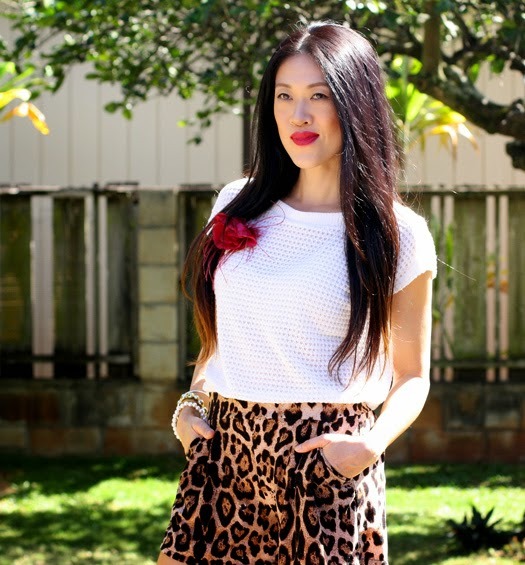 Those shorts are amazing and I love red and leopard paired together. 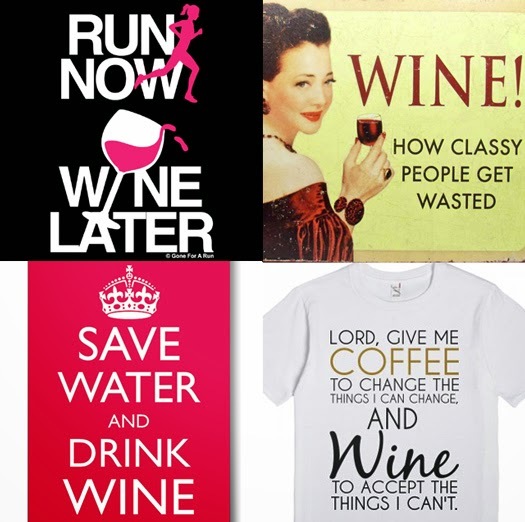 I will definitely be celebrating National Drink Wine Day! Cheers! haha virtual cheers to you too! awesome post, and i love the outfit! 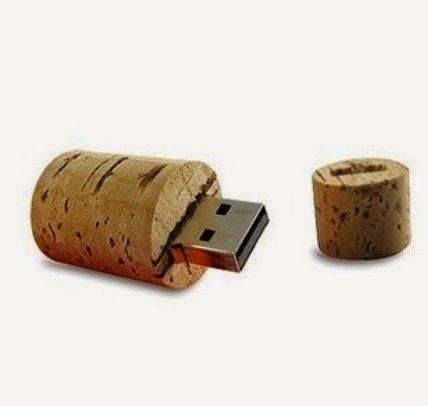 I am not a big wine (or alcohol) fan, but my husband does have that wine cork USB. I am a huge fan of this outfit, though! 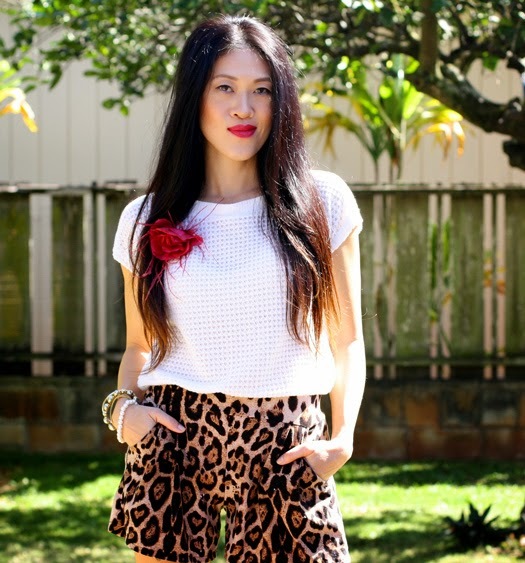 Love those shorts and the flower pin! Thanks for sharing the information. I didn't know about this day actually. I'm actually not a wine person. 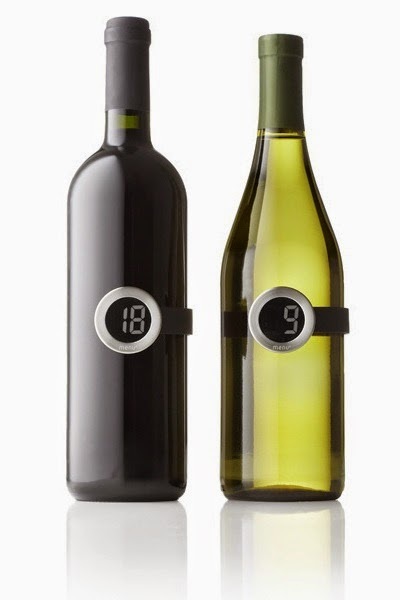 Somehow, my heart beat real fast after a cup of wine. I've tried it with many other alcohol and they're fine except for wine. To chose between red or white, I would go with white. i am so lovin those shorts and top! how chic!!! i like white wine. gotta tell you about a new one i discovered!! !